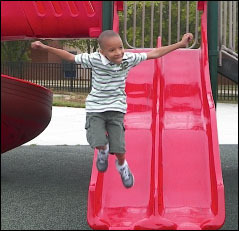 Baltimore City Recreation and Parks welcomes and encourages individuals with disabilities to participate in recreation programs through Inclusion Services. Register at least 2 weeks in advance of the program start date to request an accommodation. For information about Inclusion Services, please contact Therapeutic Recreation at (410) 396-1550. Visit our Flickr page for photos from our events. 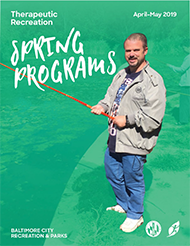 Spring 2019 Program Guide – arts & crafts, TR discos, social programs, fishing, aerobics, yoga, canoeing, Special Olympics bocce ball, and so much more. Get the complete BCRP Therapeutic Recreation Program Guide for this spring.